It has all be explained so well on the blog site so I'm repeating it all here. So what is Ephemera you say? I found this list here for some ideas. but generally it is charms, watch faces, ticket stubbs, paper clips, buttons, old patterns, material or postcards. The challenge is to put some of these on your Layouts as they are sometimes not acid and lignin free! 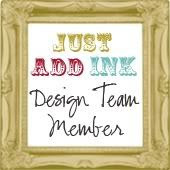 Thankfully the scrapbooking product makers out there do a range of these items so we can safely put them on our Layouts! If you do want to add non acid and lignin free then we suggest you buffer it with acid free cardstock orcellophane bags or away from your photo and writing. So here is what I've come up with to inspire you.The layout features my longtime friend and one time neighbour for many years. 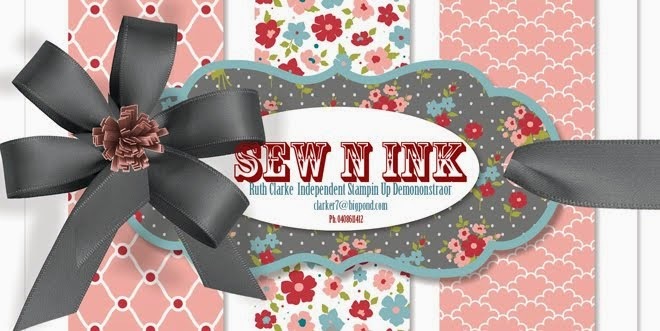 I've used new papers too from the current Stampin Up Seasonal catalogue 2013. HI Ruth! How are you! So nice to come across your blog on my blog reader!! This looks wonderful.. I love the green mat under your photo and I love the banners too..and you are always lookin good in the photo!! I hope life is good for you!! oh Ruthy, this is just soooooo beautiful!! !